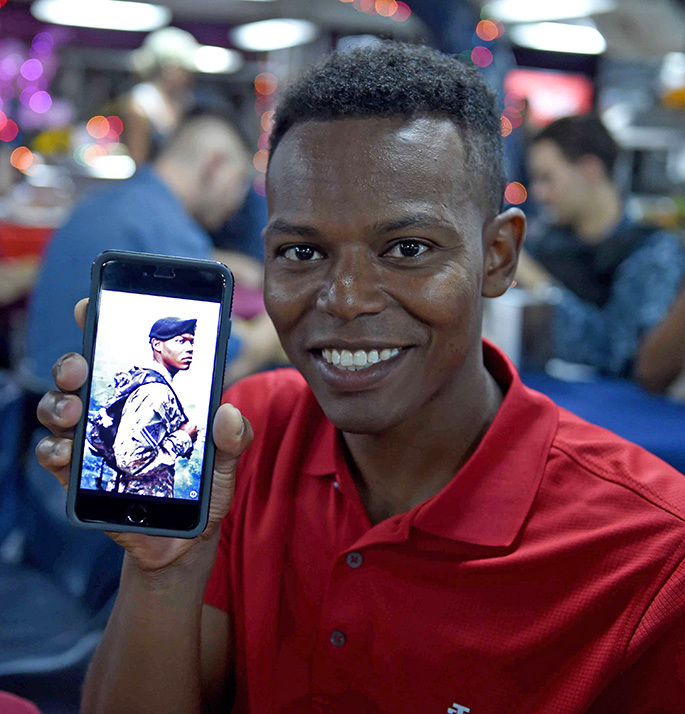 This past summer I was delighted to meet Yonas Hagos, a young veteran with a dramatic past. Born in a Sudanese refugee camp to Ethiopian parents, Yonas first came to America at the age of nine. I arrived in America after spending two years in a refugee camp in Trieste, Italy and like Yonas, was overwhelmed with the freedom and opportunities that this new country presented. While America was rocked by the events of September 11, 2001, for Yonas it was a call to action. He knew that this was his chance to give back to the country that had given him so much. In Iraq, Yonas served as field artillery, doing infantry work in Baghdad. It was shortly into this deployment that he was struck from behind by an RPG. He was pronounced KIA, or Killed in Action. The story of his recovery from this incident is nothing short of miraculous – and just one of the amazing stories I am happy to be presenting in Lidia Celebrates America: Holiday for Heroes. Check your local listings for the premiere date in your area.